When the country’s flag carrier and largest airline began a comprehensive fleet modernization program following the purchase of sixty Boeing 787 Dreamliner aircraft, they brought in TEAGUE to capitalize on the unique opportunity of reassessing their brand, and helping them re-imagining how it could be expressed through a new onboard passenger experience. Co-creating the future of a brand. 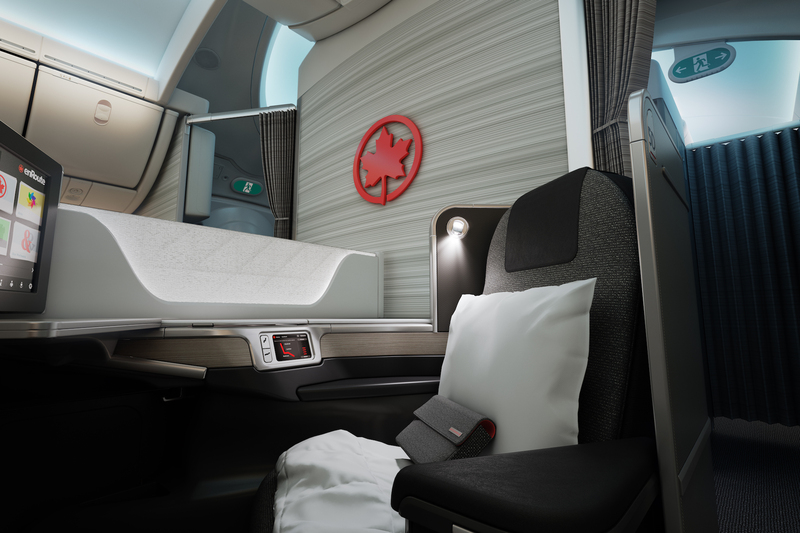 Working directly with Air Canada’s team in Montreal, TEAGUE began by articulating a clear design vision—informed by research and shaped by aspirations—that anchored all future decisions. Together, the teams prioritized experience over elements to create a well-orchestrated, strong, and singular flight environment. 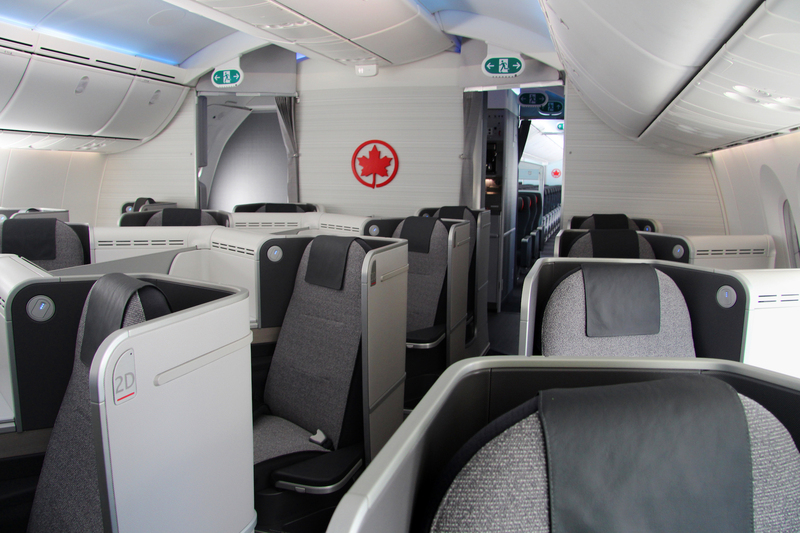 User research revealed that passengers respected Air Canada, but didn’t feel a strong emotional connection to the brand. Moving the brand from ‘respected’ to ‘loved’ became the project’s mantra and essential outcome, anchoring all decisions to what would best achieve this objective. Reverse engineering the perfect passenger experience. In aviation, decisions are often dictated by the design of individual elements beforehand, such as a business class seat. But this approach interferes with creating a cohesive spatial experience, and emphasizes dissonant details rather than an orchestrated, singular impression. To avoid this problem, TEAGUE worked to define the overall perception of the cabin first, and then designed the individual elements – seats, monuments, fabrics, etc.– that would collectively create a unique and united passenger experience. — Marc-Antoine Plourde, Air Canada 787 Pilot. A red thread designed to surprise and delight. TEAGUE wanted to be somewhat reserved in the ways Air Canada’s signature red was used. 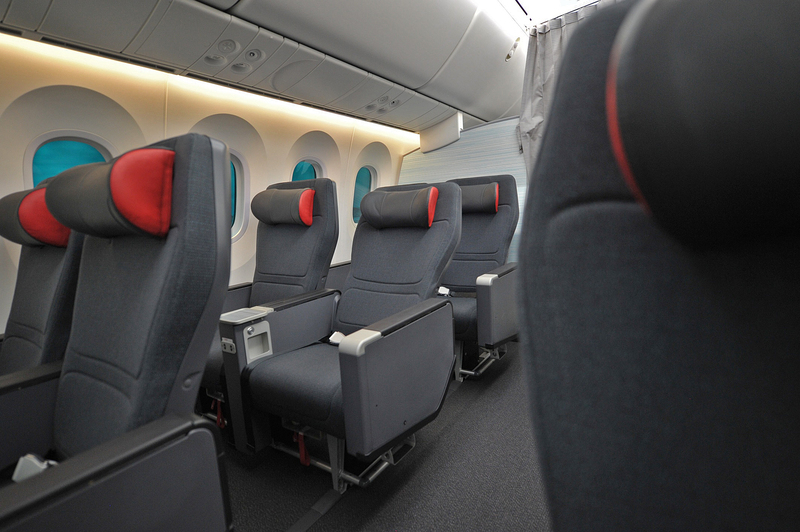 Rather than overwhelming the passenger with swathes of red, the team created ‘jewel’ moments of surprise and delight – behind the headrest in economy class, under the espresso mug in business class, inside the amenity kits, on leather seat tags, and in the leaf motif inside the lavatories. The resulting effect balances boldness with warmth, honoring the signature red in a way that invites discovery. Innovation that speaks for itself. 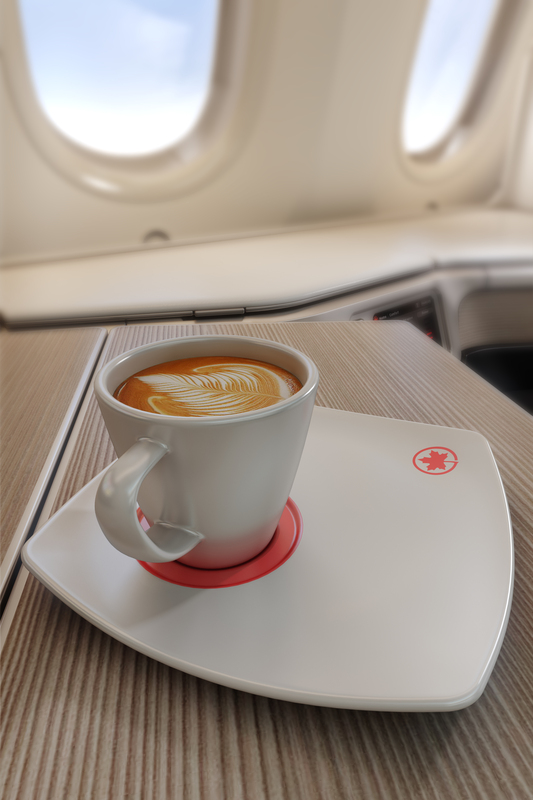 Together, teams from Air Canada and TEAGUE created every touchpoint in the cabin–from seats and monuments to lavatories and lighting–with each element being part of a cohesive brand expression that was inspired by a singular vision to connect more emotionally with passengers. 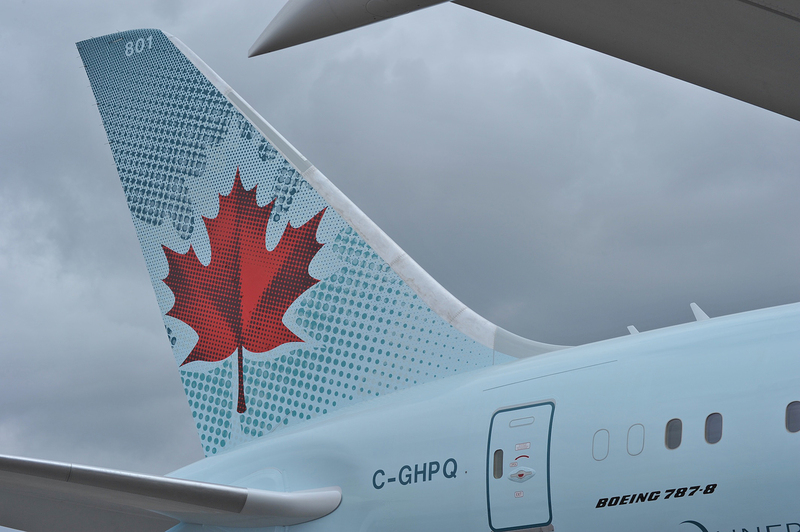 In the first year of their 787 service, Air Canada saw a 52% increase in their stock price, the addition of over 37 new routes, and more than 75 flights a day, proving that they’ve succeeded in transforming their brand from simply a respected name in aviation to one that’s truly loved and preferred by their customers. Want to learn more about our work with Air Canada? Get in touch with the team behind it at hello@teague.com.